Today’s cars are becoming increasingly powerful but are still retaining the convenient size which fits with the chaotic world we live in. With cars becoming more demanding, the engines have to do more while trying to meet efficiency targets, this is helped by the engine oil that we put in to keep the car ticking over. However, although this oil is beneficial for many parts within the engine it also causes a lot of harm to components such as oil seals. Oil additives are chemical components that improve the lubricating performance of the base oil. These additives are vital for the proper lubrication and prolonged use of engine oil in modern combustion engines. Without many of these the oil would become contaminated, breakdown, leak out or not properly protect the engine parts at all operating temperatures. Some of the most important additives include those used for viscosity and lubricity, contaminant control, for the control of chemical breakdown and for seal conditioning. The viscosity of oil also changes with temperature, becoming more viscous when cold and less viscous when hot. So the viscosity of the oil can be affected both by the weather and how hot your engine is. 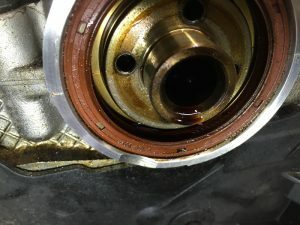 Although the additives in the oil are extremely beneficial for most engine components, the additives being used today have an adverse effect on oil seals, often causing them to wear or leak causing early repairs being done to fix the problem. One way a seal can fail from oil additives is due to chemical compatibility, this is an issue that arises when changes are made to the formula of lubricants. Sometimes even though the base fluid remains the same an additive causes the seal to fail. However, the effect is not always predictable as the seal may wear out faster than expected or simply not perform as it should. Alternatively the seal material can break down when it encounters a corrosive fluid. This will occur when the improper seal material is chosen for an application. The use of non-compatible materials can lead to chemical attack by oil additives, hydrolysis, and/or oxidation of seal elements. This will result in the loss of the seal lip interface, softening of the seal durometer, swelling, and/or shrinkage of the seal. Discolouration of the seal is an indicator of chemical erosion. To avoid the seal from wearing early or not performing as expected then certain things need to be looked at. The fluid pressure range needs to be checked, this includes not just the operating range of the fluid system pressure, but also the severity and frequency of the system pressure peaks. Another crucial factor is the temperature range as this will be effected by the additives within engine oil and can also be effected by the engine temperature and even the weather. The resting and operating temperature range of the fluid and the cylinder assembly are important with seal selection. 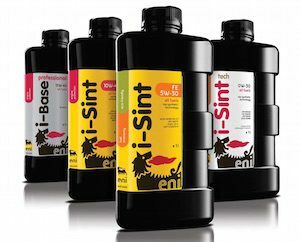 The fluid type due to the fluid media and viscosity are important for seal efficiency and effectiveness. Getting this right will ensure the long life of an oil seal as well as reduce the need for early repairs. The size of the seal will determine the size of the cylinder. This includes the rod and bore dimension, seal groove dimensions, gaps, cylinders overall length, surface finish specifications and the stroke length. How the cylinder is used will impact how long it can last under certain operating conditions. This includes cylinder installation, environmental factors, and exposure to harsh conditions. With oil additives being added to engine oil it is becoming ever more crucial to ensure the right seal is chosen not just for the application but for operating conditions and to work well alongside the additives. Corteco offers a range of more than 7,000 gaskets and over 6,500 different shaft seals Simmering® and valve stem seals in OEM quality for a wide range of vehicle applications to ensure you can get the right seal for the job. For more information on Corteco’s range of products head to www.corteco.com/en/products/sealing alternatives head over to Facebook, Twitter or LinkedIn and follow Corteco to get all the latest new, technical information and promotions. Lubricant distributor The Race Group has announced that it has renewed its partnership with Castrol with a new five-year contract, extending its supply of product to customers in the South of England in addition to the Midlands and the North which were covered int the previous agreement. The contract secures The Race Group, part of nationwide distributor Certas Energy, as Castrol’s largest authorised distributor in the UK. Andrew Salton, General Manager at Certas Energy and Sales Manager at The Race Group, commented, “This is great news for both current and new customers who will experience improved levels of service and technical knowledge”. 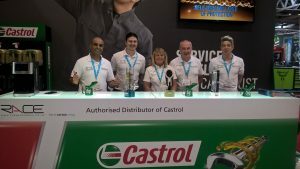 Mark Scarisbrick, Distributor Manager at Castrol UK, added,“As our chosen route to market, we awarded The Race Group the contract to grow the Castrol brand in the South of England. We are confident that customers will enjoy a professional service that delivers business results. Given our long standing partnership we have the utmost trust in their experience, expertise and capabilities to be an ambassador of the Castrol brand across the South of England”. CV factor Digraph has inked a deal with lubricant firm Millers Oil. The move follows the factor chain’s expansion plans . “As we continue to support the CV market, we were keen to partner with a company that has an innovative roadmap for growth”, notes Andy Black, Platform Business Manager at Millers Oil. “Digraph has exciting development plans and is recognised for its service and support. We are looking forward to driving innovation together”. Elsewhere, France-based lube supplier Motul has done a deal with Automotive Brands to distribute it’s passenger car oil range in the UK. Motul was already a sponsor of Automotive Brands’ Power Maxed Racing and prior to the distribution deal had renewed sponsorship of PMR’s Astra touring cars for the new season. 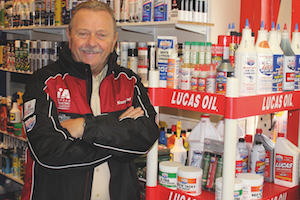 On a similar note, A1 Motor Stores now distributes Lucas Oil products, after the latter received ‘Approved Supplier’ status from the group. Commenting on this partnership, Lucas Oil MD Les Downey, said: “It’s an exciting time for us. It is a terrific opportunity for us and for A1 members, too”. He added: “We will be working directly with them to increase product awareness and to boost sales”. Meanwhile, garage aggregator WhoCanFixMyCar has arranged a partnership with Shell. The website and the oil major will share stand space at the upcoming Automechanika Birmingham. Al Preston, co-founder of WhoCanFixMyCar. com, said, “We’re excited to be returning to Automechanika Birmingham. I’m sure it’ll be better than ever, especially as we’re partnering with Shell”. ARE CLASSIC OILS A GOLDEN OPPORTUNITY? Buying oil is an ever more complex process for modern vehicles, so don’t you just long for the days when there was a choice of about three? 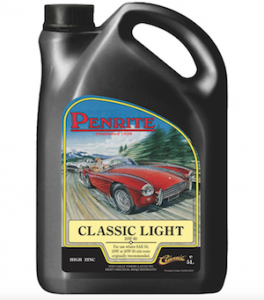 Well, there is a section of the market that caters just for classic cars (and by ‘classic’, we mean anything from the straight weight oils of the veteran and vintage eras, right up to the high-detergent multigrades used in the late 1990s). Oddly, as demand for volume of older oil grades such as 10w40 decreases, the number of brands available has actually increased. It is also one of the few areas in the lubes market where a high percentage of sales go to DIYers rather than to the trade, so retail visibility is important. Old brands, long out of circulation have been revived during the year just passed, notably Veedol and Duckhams. The latter being produced under new ownership as a private consortium bought the brand from BP, though at the time of writing, the only way to get your hands on a can is to mail order it from the brand’s website. However, the assurance of modern quality also goes a long way according to Adam Young, a Field Sales rep for lube supplier MotoWorld ￼which imports ENI and Agip into the UK, both long- standing brands featuring the fire- breathing six- legged dog. “The oil market in general, is very crowded, but ￼Penrite oil ￼we believe there is a space for ENI” he said. “The products are fully certified to the latest ACEA, API and JASO and manufacturer standards so consumers can be certain they’re receiving the best quality possible from our oils.” As you might expect, all of the suppliers that we spoke to said that the message of quality was something that any consumer working on their pride and joy would take to heart, however other aspects of the marketing message differed. Millers’ Lowe said that the ‘Made in Britain’ tag was important to its customers, while Classic Oils’ Lachlan makes the point that it is easier for brands that were originally mentioned in the handbook, which must be good news for the likes of Castrol. When selling directly to consumers, ‘retail is detail’ as the old saying goes. However, how much difference does retro- styled packaging really make? “Packaging does have an effect on retail sales as the product has to firstly catch the consumers eye if they are unfamiliar with the brand” said Young. Putting oil into traditional metal tins and using a design based on a 1950s logo has certainly paid off for Millers. “Since rebranding, sales of the Millers Classic range have enjoyed double digit growth in terms of revenue” Tony Lowe confirmed. A deal has been struck by German lube producer Würth Group to acquire Liqui Moly. Würth Group has owned shares in the Ulm-based company for some years. Now, Managing Partner Ernst Prost has agreed to sell his controlling share in the company, effective January 1s subject to the usual regulatory approvals. Following the sale, Würth has said that Liqui Moly will continue to operate as an autonomous company with an independent brand in the Group. Prost will remain with Liqui Moly as joint MD, sharing the role with the firm’s long-standing Head of Sales, Günter Hiermaier. Peter Zürn, Deputy Chairman of the Central Managing Board of the Würth Group said: “We are proud that this successful and established brand, which is known for its outstanding reputation and great dynamics, will enrich the portfolio of the Würth Group. 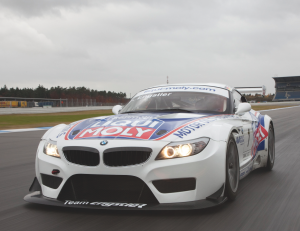 Our objective is the sustained successful development of Liqui Moly in the future. This is why we will continue to put our faith in the entrepreneurial expertise of Ernst Prost, just as we have done in the past 20 years as a silent partner at Liqui Moly”. From Prost’s perspective it will be business as usual: “Those who know me know that my employees are my focus,” he said. “After all, it would be foolish to change anything about the road to success over the past few years. Everything will continue just as before – just under a bigger roof that offers greater protection. In fiscal year 2016, Liqui Moly generated sales of approximately EUR 500 million with 800 employees. VLS was formed in 2013, when the industry faced a real problem. Lubricant products were being sold by some new market entrants with claims that just did not seem to be believable. Closer inspection found that occasionally sub- standard formulations provided by newly-established companies were being passed off as the latest specifications to their customers, or even failing to perform effectively at low temperatures. Even though the majority of lubricants were compliant with relevant market standards and manufacturer approvals, out of this concern reputable lubricant blenders and manufacturers came together to launch the Verification of Lubricant Specifications (VLS), an industry-led service that independently validates complaints regarding the technical specifications and performance claims of products. Four years on, VLS has tackled 50 cases, receiving its 50th complaint in September this year. Looking back over the cases so far presents some interesting reading. The first case was received in March 2014. 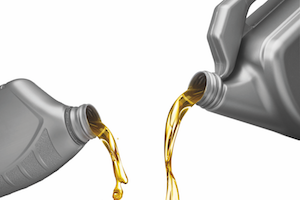 The complaint related to an engine oil which was making unrealistic claims that did not comply with ACEA sequences for which it was claimed to be suitable. At the time, VLS was still relatively new and people did not know what to expect. The company involved soon saw that it meant business as the case was escalated to Trading Standards and the company suspended from membership of the United Kingdom Lubricants Association (UKLA) until the matter was resolved. Non-compliance with ACEA has accounted for the majority (60 percent) of cases. These engine oil sequences change every four years to take account of developments in emission regulations and technical developments in OEM engine design. Lubricant marketers need to manage their stockholding to ensure they are not left with old stock on the shelves when the new sequences become mandatory. VLS cases have shown that they will get reported, investigated and required to withdraw mislabelled stock if necessary. Around a quarter of cases have related to low temperature properties, which is a particular safety issue. In one case a lubricant was found to turn solid at temperatures of minus 40 degrees centigrade. Whilst the temperature in some parts of the country rarely stays below freezing for a sustained length of time, in Scotland, extreme temperatures are not uncommon. To be within specification, lubricants must be able to perform even in these extreme conditions to avoid damage to vehicles. Of the cases investigated three quarters have related to passenger vehicle engine oils. This is in line with expectations, as automotive comprises a significant sector in the marketplace, as much as half of all lubricants sold. However, VLS’ remit does include everything from engine to transmission and gear oil and all have featured in cases. Seven cases of automotive gear oils with suspected low temperature properties have been investigated. Cases have also been reported in automotive transmission fluids and hydraulic fluids. VLS has even investigated agricultural tractor oil. So far only two cases have been received relating to industrial products and one in the marine sector. VLS plans to focus on raising awareness in this sector as well. Over the course of 2017 the number of cases brought to the attention of the organisation has reduced as the initial issues of non-compliance have been tackled in the wider lubricant marketplace. There is now a greater awareness amongst marketers and blenders as to what constitutes a compliant product. We know this because blenders report that there is a greater degree of compliance in the market place, additive companies tell us that they are engaging with companies that they have not had a relationship with previously, and European body ATIEL has also begun its own programme of policing conformity. If you have any concerns about lubricant products then you can report them to VLS by calling 01442 875922 or emailing admin@ukla-vls.org. uk. VLS handles all cases anonymously through a clearly defined process which includes technical review by a panel of experts from across the industry and dialogue with the manufacturer and all relevant parties to work together to resolve any issues. You can find out more about VLS by visiting their website: www.ukla-vls.org.uk or calling 01442 875922. 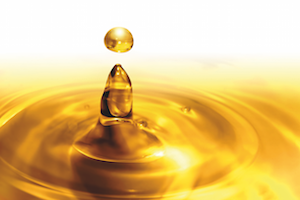 A market trend has started to form with the introduction of very low viscosity oil grades, designed to improve fuel efficiency and oil change intervals; opening up-selling opportunities for oils providing you can find exactly the right grade. 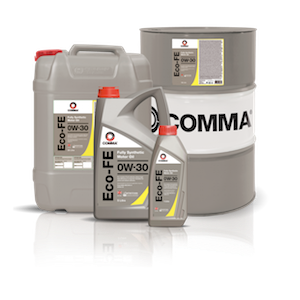 Mike Bewsey, Comma Oils Sales & Marketing Director, says that while 5w-30 remains a popular grade; this could be subject to change. “5w-30 products remain dominant as OE spec, but the future market trend as signaled in applications for the latest fuel efficient and hybrid engines is moving towards even lower viscosity oils in the 0w-20/- 0w-30 range” he said. Chris Wall, Marketing Manager at Total Lubricants, concurs, saying: “It’s all about optimising engine efficiency: a balance between engine performance, engine protection and even fuel saving”. Our oil experts suggested a couple of ideas that will sweep those products off the counter and into the customer’s hands. Bewsey advises technicians to offer top-up cartons when the vehicle is being serviced, so the motorist will have a litre of the correct grade handy for service intervals, by recommending a ‘top up’ with the correct specification. He said: “As far as engine lubes are concerned, the most straightforward and profitable method is to offer your customer the correct top-up oil for their vehicle. Sell your customer the appropriate 1 or 2 litre top up oil pack (s) at the time of the oil change service interval, and urge then to check their vehicle’s oil level regularly, whatever its recommended oil change cycle”. Steve Dunn, Sales Director of Exol Lubricants, agrees, suggesting that workshops should be stressing the importance of buying high quality oil grades to customers. After all, the last thing a technician needs is a dissatisfied motorist returning a few weeks later to find they have poured in the wrong formulation, causing damage to the engine. “Garages should ensure customers check their oil regularly and raise the awareness to some of the pitfalls of incorrect oils”, said Dunn. 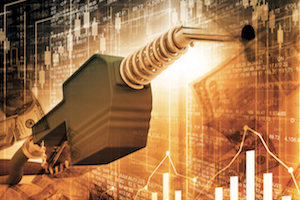 “By encouraging garages to promote the importance of good quality oil, motorists are more inclined to use premium products of greater quality that offer long- term benefits rather than a cheaper alternative”. The influx of oils and lubricants available for petrol and diesel engines can cause a cloud of confusion among technicians when distinguishing the correct specifications for the job, particularly for businesses servicing a diverse range of vehicle models. To jump over this hurdle, most suppliers have a VRM look-up system in place to help choose the correct formulation first time round. Martyn Mann, Technical Director at Millers Oils, elaborated: “Our website has a facility called Which Oil? Users can enter the vehicle’s details in to find out the correct oil and quantity for the engine in question”, Mann continued: “We also have helplines where people can speak to a member of our technical team or alternatively, e-mail their query to us”. Similarly, Chris Wall from Total Lubricants says the supplier utilises a tool called ‘LubAdvisor’, what does what it says on the tin. He explained: “This easy to use tool allows technicians to look up the specific make and model in an instant, enabling them to make the right choice with confidence every time, with the information also available through industry cataloguing systems adopted by some of the big motor factor groups”. Les Downey, Managing Director of Lucas Oil adds: “The garage only needs the VRM, a PC and access to any one of a wide range of online tools and the specification is there on the screen. Alternatively, the motor factor can provide the advice”. Developing additive packs in house is a very expensive and time-consuming business, but as the number of VM-specific oil references grows it is necessary for oil blenders to either develop their own additive packs (which then need to be approved by the VM) or buy directly from additive suppliers. One company that buys ad packs in this way is SCT, which produces and distributes the Mannol brand in the UK. Jevgenij Lyzko from the firm says: “Our factory uses Infineum as additive supplier, as we highly trust their quality and professionalism”. He notes that his firm now produces various VM-specific lubes, which are easily identifiable by the black packaging, which have seen strong sales in the UK since being introduced two years ago.